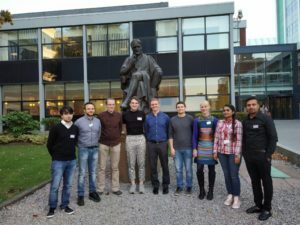 From left to right: Heitor Valarini, Francesco Mecozzi, Kai Betlem, Oliver Jamieson, Alex Hudson, Robert Crapnell, Marloes Peeters, Amanpreet Kaur and Pankaj Singla. 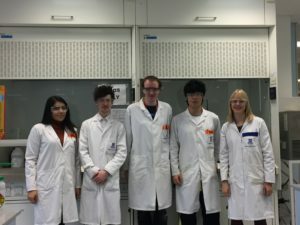 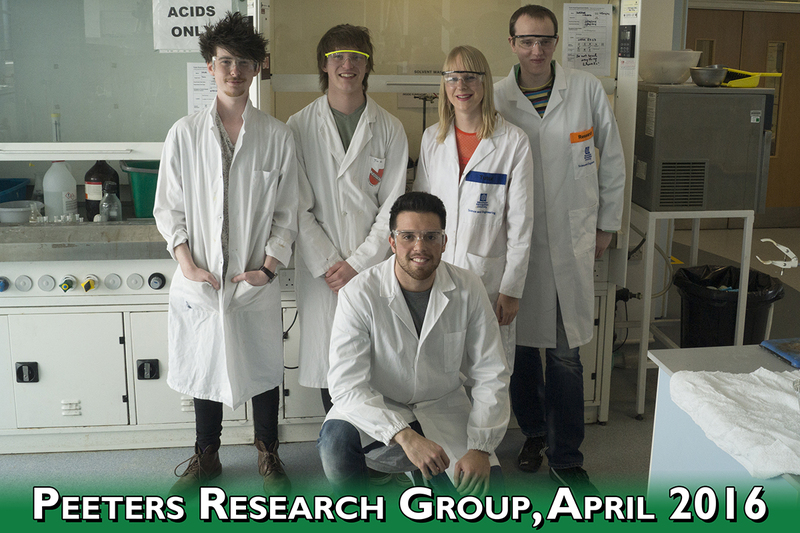 From left to right: Dean Roberts (RSC summer student), Robert Crapnell (PDRA), Aqib Afghar (summer student), Ismail Sadikis (French exchange student), Romain Raimbault (French exchange student), Marloes Peeters, Kai Betlem (PhD student). 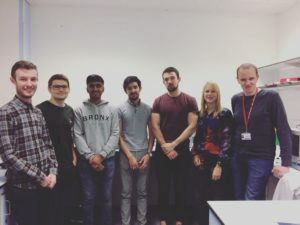 Other students (not shown): George Hurst (PhD student, PI Silvia Tedesco), Alexander Hudson and Francesco Mecozzi (PDRAs), Heitor Valarini (exchange student), Vincent Cullen (MSc), Amanpreet Kaur and Pankaj Singla (visting students Guru Nanak Dev University). 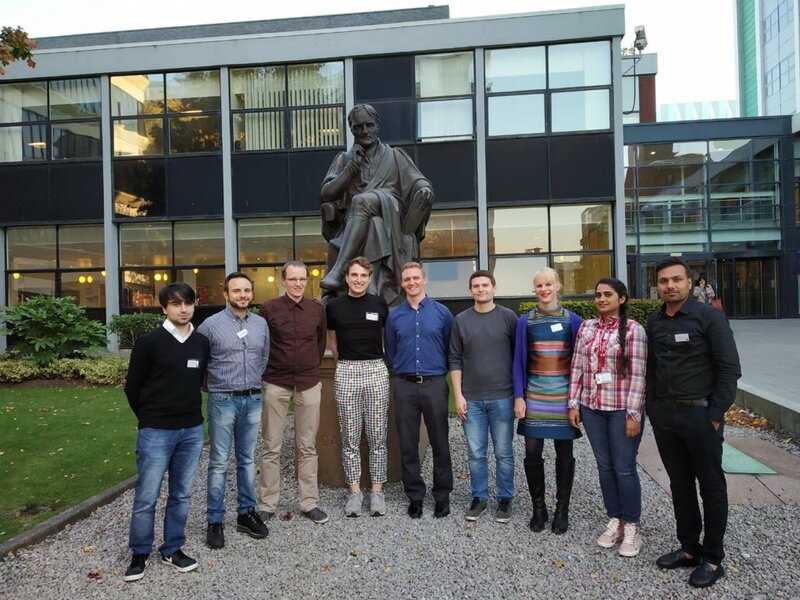 From left to right: Nikki Mansouri (MRes student), Joe Lowdon (MChem student with Dr. Sutcliffe), Kai Betlem (PhD student), Jorge Tadashi Ueta (exchange student from USP, Brazil), and Dr. Peeters. Jorge has returned to Brazil, but Aneesa Al-Ani (MChem with Dr. Jones) and Thomas Dunbar (MRes student) will join the group in January 2017. 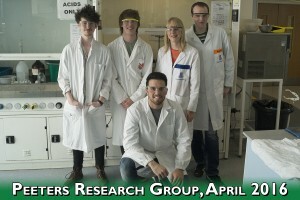 From left to right: Joe Lowdon (summer student), Timothy Goris (Erasmus student), Simone Casadio (Erasmus student), dr. Marloes Peeters and Kai Betlem (PhD student).